You need to gather all information about your income such as all of your T4 and T5 slips, receipts, and a copy from last year’s return to help you with some information you may need. You can use any available certified tax return software to transmit your return directly to the government. At Canadian Accounting and Financial Services we use our own certified software to submit our clients’ file return application. You can also register an account with Canada Revenue Agency to track all of your records, submit online, and even view previous tax return and notice of assessment. You choose whether to send electronically via the certified software or by mail to CRA tax centre. At Canadian Accounting and Financial services we provide a complete service from helping our clients gathering their tax return documents to send the application online via our certified software. With this we offer a peace of mind quality file tax return service. There are some changed for individual taxpayers for the 2015 tax-filing season. Changes include the new Auto-fill my return service for individuals, and the improved look of the notice of assessment available through CRA website.You can also signup with the online mail and get your mail fro CRA online by accessing your account. When to file tax return ? April 30: Returns due for individuals. 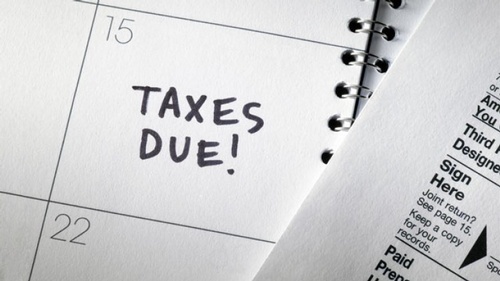 June 15: Returns due for self-employed and their spouses or common-law partners. Canadian citizens or Permanent Residents who must have to pay tax for 2015. Even if there is no income to report, a citizen still should file a return.